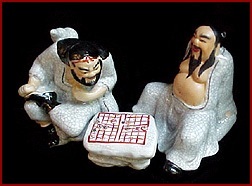 Chinese Wei Qi Go Game Players at Mann Gallery! 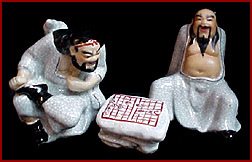 Oldest Boardgame in the World! 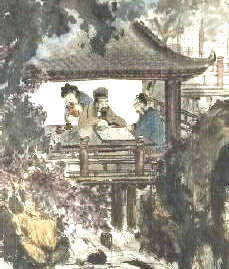 Known as the Fame of Go, Weiqi, Wei Qi, Wei-ch'i, WeiChi, Wei Chi (and Baduk in Korean). These two are having so much fun, and as you can see they live well...both are quite rotund, and you can easily tell by the facial expressions who is winning and who is losing! 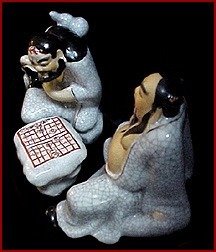 This is a crackle glazed, 3 piece set of Shi Wan Porcelain figures and gameboard from China. 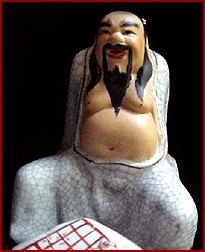 Each is approximately 6 inches tall by five inches wide and is hand painted. 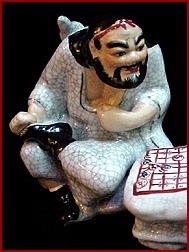 What a wonderful addition to your collection or for anyone who who appreciates the beauty of Shi Wan Porcelain or perhaps spends too much time at the casino and enjoys GAMING!! 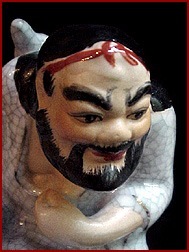 The will show well with any contemporary or oriental collection of figures and artwork. 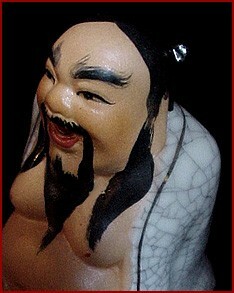 These figures comes to you in show condition, as they have been stored with Gallery stock. The perfect gift for the one who has everything! Suitable for a man or a woman, office or home, and just in time for the holidays. The Shipping Amount will include SHIPPING, TRACKING and INSURANCEas this will be well packed, and will be $11.99. I take almost all forms of on-line payment (SEE BELOW), but PAYPAL is PREFERRED!